Whether it’s installing gutters to protect your home from water damage and erosion, or harvesting rain water and leaf guards installation, we ensure quality work to our customers and the products to meet your needs. Foundation Problems - The expansion and contraction of the soil that surrounds your home is the number one reason for slab failure. After a period of rainy weather, the soil around the perimeter of your home expands as it becomes saturated with moisture. A dry, hot summer following the rain can cause the soil around your foundation to contract and pull away. As this cycle repeats, support to the foundation can be compromised leading to cracked masonry as well as sticking doors and windows. A property designed and installed gutter system keeps the soil surrounding you home at a consistent moisture level by directing roof runoff safely away from the house. Staining of Masonry and Siding - Rainwater cascading off an unguttered roof will hit the ground with enough force to cause a splashback. Within this splashback are dirt, grass, and minerals that end up on the exterior of your home. Over a short period of time, a stain appears that can be difficult to remove or hide. Damage to Landscaping - Plants, flowers, mulch and soil located under the drip line of an unguttered roof can suffer from the water runoff of a thunderstorm. Additionally, this runoff can result in an overwatering condition that could permit harmful fungus to develop as well as attract ants, roaches, and termites. 5″ K-style / O.G. : Designed for climates with light to moderate rainfall rates and/or roof areas with relatively short ridge-to-eave distances. 6″ K-style / O.G. : Designed for climates with moderate to heavy rainfall rates and/or roof areas with longer ridge-to-eave distances. 7″ K-style / O.G. : Designed for climates with heavy rainfall rates and/or roof areas with large overhangs such as tile roofs. 6″ Half Round: Brings back the class look of yesteryear. Designed for all rainfall rates and ridge-to-eave distances. The round downspouts are also usable with the K-Style / O.G. gutters. 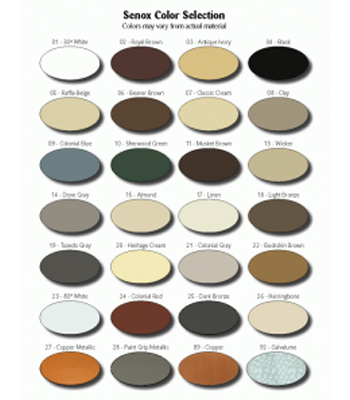 Colors: 27 painted aluminum colors with low-marring tuff coat protection as well as Galvalume Plus and copper will complement the color scheme of your home. Backsplash - The water falling from the eaves of the roof hits the ground with so much force that the backsplash that is causes can leave stains on your home. Mold and mildew can also form where the water has stained the home. Repainting or replacement of the siding will not solve your problem; gutters are the only solution to stop the backsplash. Washouts and erosion - Where the water hits the ground from the roof, erosion will start to happen. If left unfixed, the ground erosion will become quite deep. Washouts can also occur if there are plants or landscaping under the roof eaves. Flooded basements - Whether you have a finished or unfinished basement, the water will find its way in. What happens is when the water pools on the ground from the roof, the water has no place to go but into your basement. It will slowly soak into the ground and eventually into the walls of your basement. Roof water can be as much as six tractor trailer loads, and imagine that falling around your foundation walls. What the gutters will do is take that roof water and direct it away from your basement, preventing pooling around the foundation and essentially preventing a flooded basement. What are the advantages of gutters? The main advantage of gutters is that they will save you thousands of dollars in home repairs. They will prevent backsplash, washouts, erosion and flooded basements. Also, if gutters are installed correctly, they will enhance the curb appeal of your home. 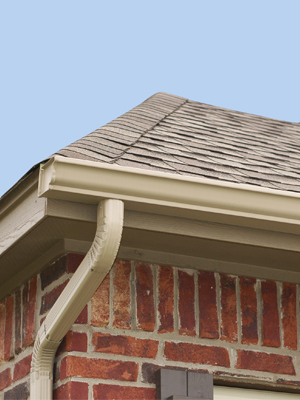 Gutters and downspout come in many colors, so there will be a color that matches your home close to perfectly. Gutters are a professional matter, hiring a professional gutter company will save you thousands in costly home and gutter repair. Is your gutter company the same as the rest? No, the truth is we all use the same materials, but the biggest difference is the customer service that we offer and the professionalism of all our employees. Lewis Construction and Seamless Gutter has been in business for over 21 years, and has no plans of stopping. Because we have been serving all of central New York and the surrounding areas for 21 years, customers have a piece of mind that we are here to stay and serve you for many years to come. The experience and professionalism of our employees is second-to-none. With over 100 years of combined experience, our contractors, gutter installers and office staff can help customers with any problems that arise. We are also the only gutter company in central New York to offer three types of gutter protection systems. What this means to you is that there will be one that will fit your home perfectly. Many gutter companies claim to be the best, but Lewis Construction and Seamless Gutter has been serving New York for over 21 years, and the original is always better. What type of hanger do you use in the gutter? Hidden hangers are used on our gutters; they are the strongest hangers on the market. How they work is they clip into the front lip of the gutter, and then snap onto the back. The hangers are invisible from the ground, hence the name hidden hanger. 5” and 6” K-style gutters are the most frequently installed. Half-round and copper gutter are available on special request; the cost of these will vary depending on the copper market. Although K-style gutters are seamless, half-round gutters are not. Separate from the gutters, we offer gutter protection systems. The Leaf Terminator is the most popular of the three systems because it comes with a lifetime warranty, and is the only system, that we carry, that will actually strengthen your gutters. Do you repair/clean out gutters? Yes, this would be a service call charge. For the latest price, call the office during normal business hours. 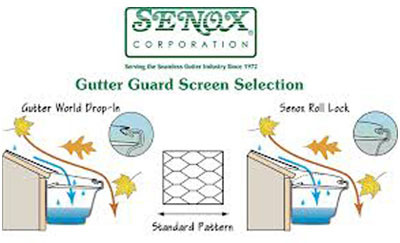 Can you install a gutter protection system on existing gutters? In most cases, we can install gutter protection on existing aluminum seamless gutters. If your existing gutter is not seamless or made out of plastic; gutter protection cannot be installed. Please note, that if you have existing gutters they must be in excellent condition, meaning no sags, bends or leaks in order to install gutter protection. Why are my gutters overflowing? The number one reason that gutters overflow is because the gutter is clogged. It may not look clogged from the ground, but in 99 percent of overflowing gutter issues they are clogged. Before calling the office with this problem, please make sure that your gutter is not clogged in anyway; this means check the gutter itself, the downspout and the elbows. If after checking everything there still is a problem, then we will take a look at the problem. But, please be advised that if we come to your home and the gutter is clogged, there will be a service charge applied. Always remember, that like a car, gutters require regular maintenance to keep it performing correctly. If cleaning your gutter is a hassle, please look into a gutter protection system. 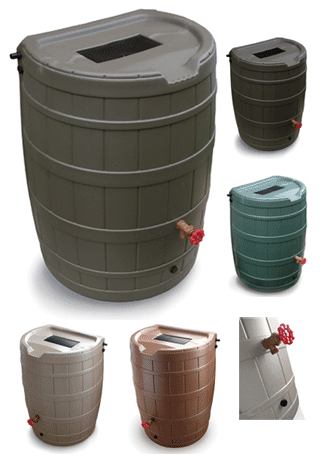 Rain barrel provide free irrigation for your garden and reduce harmful runoff into streams, rivers and lakes. A rain barrel is a container that captures and stores rainwater draining from your roof. Barrel usually range from 50 to 80 gallons and have a spigot for filling watering cans and a connection for a soaker hose. Combining the use of rain barrels with appropriate plant selection and mulching promotes water conservation. Rain barrels benefit your home, garden and community. Rain barrels save homeowners money on their water bills. Garden and lawn irrigation accounts for 40 percent of residential water use during the summer, according to the U.S. Environmental Protection Agency. By using rain barrels, homeowners can save 1,300 gallons of water during the growing season. The Southwest Florida Water Management District states that half-inch of rain fills a typical 50- to 55-gallon rain barrel. Connecting multiple barrels maximizes rain capture. Rain barrels provide a free water source for irrigation and ease reliance on the city’s water supply. When preparing your rain barrel, keep a few tips in mind. A rain barrel should include a screen to keep out debris. Ensure that your rain barrel has a cover and a tight connection where water enters the barrel to prevent mosquito breeding and algae buildup. If roof contaminants are a concern, Stroud Water Research Center recommends emptying the first collected rain water from the bottom of the barrel. Rain barrels should not be used if your roof contains asbestos. Also, your garden plants may love rainwater, but the water collected in rain barrel is not suitable for human consumption. We use only the finest Sherwin Williams paint on all of our painting projects. When it comes to repainting the exterior or interior of your home, trust A & A 1st Choice as the best house painting company in the Austin Metropolitan Area. With every painting project, A & A 1st Choice is committed to providing the highest quality work and professional service in the Austin area. House painting or commercial painting, we’re dedicated to the process of certainty – of a job well done. Whatever your needs, big or small, A & A 1st Choice will provide you professional quality painting services and an experience you’ll be thrilled with. That is why A & A 1st Choice is the best choice. We use “Green” Paint: Sherwin-Williams Emerald product on a regular basis. 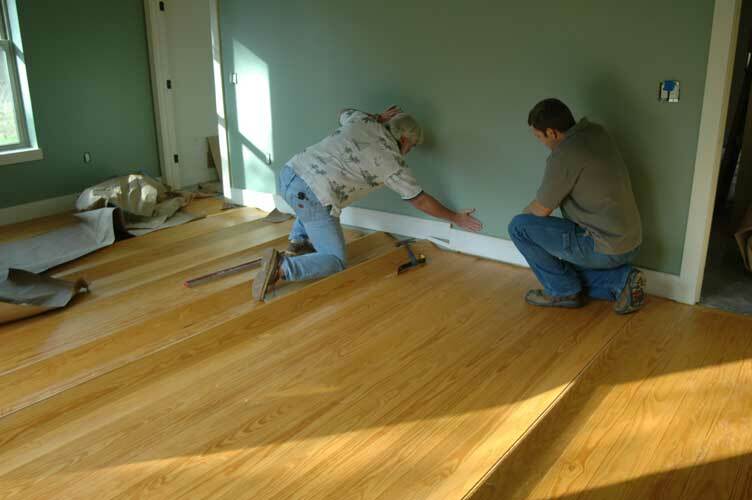 But painting your home’s interior and exterior walls, and trim has added value, and has many and various benefits. Yes, indeed, keeping a fresh coat of paint on walls and trim can also keep homeowners and their families healthy, while boosting the home’s interior and curb appeal. Increases Home Value - Painting both interior and exterior walls, trim and other home surfaces will increase the overall real estate value of your home. This helps in valuation of your assets, and can help with resale. Enhances Curb Appeal - Painting exterior walls, trim and other surfaces of your home will increase curb appeal. Promotes Healthy Indoor Air Quality - Painting interior walls, trim and other surfaces with quality, low VOC and zero-VOC paints and finishes can reduce odors and fumes, and promote healthy, indoor air quality for you and your family. Keeps Dust, Dirt to a Minimum - Particularly in homes with plaster walls, keeping your interior walls, trim and other surfaces painted can keep dust and dirt at bay. Paint keeps plaster in check, and dust to a minimum. For old homes or tough interior surfaces, make sure you use high quality paint, like Sherwin-Williams or Benjamin-Moore. Hides Permanent Marks and Stains - Painting both interior and exterior walls, trim and other home surfaces will help the you cover permanent marks or stains that have proven difficult to remove. Protects Exterior Surfaces - Painting exterior walls, trim and other surfaces will help the protect your home from the Canada’s extreme weather, particularly ice and snow that can lead to rotting and other damage. Protects Interior Surfaces - Painting interior walls, trim and other home surfaces will help these areas hold up under normal wear and tear, and protect your walls from damaging effects of water. The Most Inexpensive Remodel - Does your home need a new look? In this economy, homeowners are finding out that there’s nothing quite like painting to refresh your home and living environment, at a fraction of the cost of a remodel. High Value Make Over - Does your home need updating? Painting can provide a quick update at pennies on the dollar. Buy quality, low VOC and zero-VOC paints and finishes and you’ll save time and money on the cost of covering your walls. Positive Energy, Improved Homeowner Outlook - Amazing as it seems, sometimes, changing the interior and exterior colors of your home can have the effect of changing your outlook on your home and living environment. Light or white paint makes small rooms and spaces appear bigger. Bright colors can make a family or play room fun and vibrant. Pastels can make a bedroom cozy and serene. Our mission is to remodel or repair your home to produce quality results improving and maintaining your home. With 20 years’ experience and a good reputation we are the contractor for you providing a one stop shopping experience. Our mission is to beautify your home and create a long-lasting, weather-tight exterior to protect you from the elements. We strive to complete our projects on time while meeting customer needs and producing honest quality work. Do you want to improve the appearance of your home? Improving the exterior look of your home would definitely catch the eye of your neighbors or of anyone passing by your lot. Most homeowners when it is time to replace the vinyl siding or wood shingles would consider just newer vinyl siding. Fiber Cement Siding has been the craze for the past couple of years affording homeowners a more durable solution that in the long run will more of their packet change…well, in their pockets. What is a Fiber Cement Siding? It is a building material which is a combination of cement, sand, and cellulous fibers. It is used as an exterior cover for buildings or residential homes as an alternative to vinyl siding. Fiber Cement Siding imitate the appearance of wooden siding, clapboard and shingles. If you want a certain look of cedar wood shingles for your wall but wish to avoid the splitting and cracking and annual paint job they require, you can always go for shingle siding panels made from fiber cement. Wood sidings are usually susceptible to fire and subject to Mother Nature’s wrath. So if you are looking for an economical alternative that offers durability and protection from the elements, let’s consider why siding contractors agree that fiber cement is a good option. The Design Versatility - There are a lot of different textures you can choose when purchasing fiber cement sidings. You can also do color matching for your satisfaction. Aside from its appearance, it also comes in different shapes and sizes. Dimensional Tolerances and Stability - You can count on the products quality and dimensional stability. It holds a class A fire rating and the color and texture does not easily warp or fade. Warranty Benefits - Fiber Cement Sidings can maintain the freshness of its paint in an expected average of 7 to 15 years. Painting - Fiber Cement Sidings are often primed in the factory before the purchase. Most Once installed, the fiber siding is them protected against moisture penetration with a final coat of exterior paint. Installed Cost. The Cost - The installation of Fiber Sidings is less expensive than installation for natural stone, cedar, wood siding, and hardboard siding. Fiber cement siding installation is designed for easy installation and often takes your contractor less time to install these products at an amount that suits your budget. Aside from the many advantages you can get from fiber cement sidings, house siding in Bucks County can also be vinyl or wood shingles. 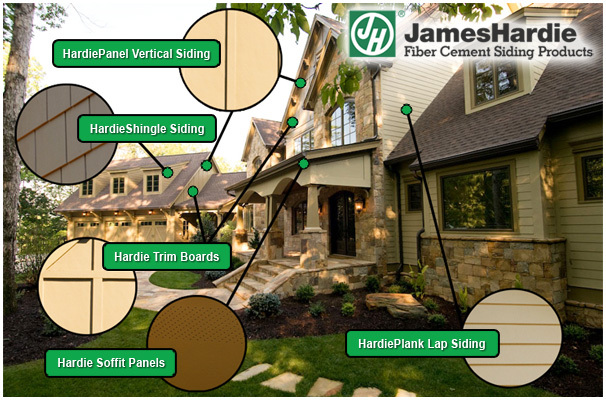 There are many vinyl siding contractors in Bucks County but only a small few that are trained to install James Hardie Fiber Cement siding. When selecting Hardi board for homes in Newtown you can take advantage of the Colorplus technology to get the look you want. Installing fiber cement siding on your home not only makes it look more elegant but it also increases the resale value if ever you come to a point of selling your house.